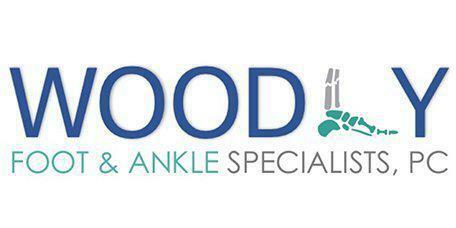 Dr. Charlton Woodly and Dr. Asia Jackson of Woodly Foot & Ankle are full-service podiatry specialists serving the residents of Weatherford and Richland Hills, Texas. You no longer need to struggle with chronic pain and discomfort and in many cases you may be able to avoid surgery. Our doctors use regenerative medicine based therapies that encourage cells and soft tissue to heal using stem cells. Our doctors offer a wide variety of regenerative medicine options that can enhance your healing from heel and joint pain to painful Neuropathy. Regenerative medicine is changing the way practitioners like Dr. Woodly and Dr. Jackson approach patient care. It may sound very New Age, but the truth is this type of medicine has been around for decades in the form of bone marrow and solid organ transplants. Modern day practices look beyond healing to engineering and regenerating tissue to restore the body’s normal function. A few promising areas of research include stem cells and the use of the extracellular matrix to aid in healing. Dr. Woodly has successfully utilized stem cell therapy and amnio-injections to regenerate and cure damaged tissue in the foot. How is regenerative medicine used at Woodly Foot & Ankle? The use of stem cells/amnio-injections can offer people with injuries to their feet or ankles an alternative to surgery. The doctor uses stem cells to quicken the healing process for common conditions such as plantar fasciitis, arthritis, and tendonitis. Stem cells can even benefit patients with damaged joints. Will regenerative medicine continue to advance? Since regenerative medicine is emerging technology, Dr. Woodly monitors the ground-breaking research being done in this area of medicine to learn ways to improve his patients’ outcomes. The medical landscape is changing all the time, and he takes pride in staying up to date with new treatment strategies and cutting-edge technology, such as stem cells, so his patients get the most innovative care available.